Queuing systems are designed to help managers in two ways – first, through enhanced customer service; second by improving efficiency and reducing costs. 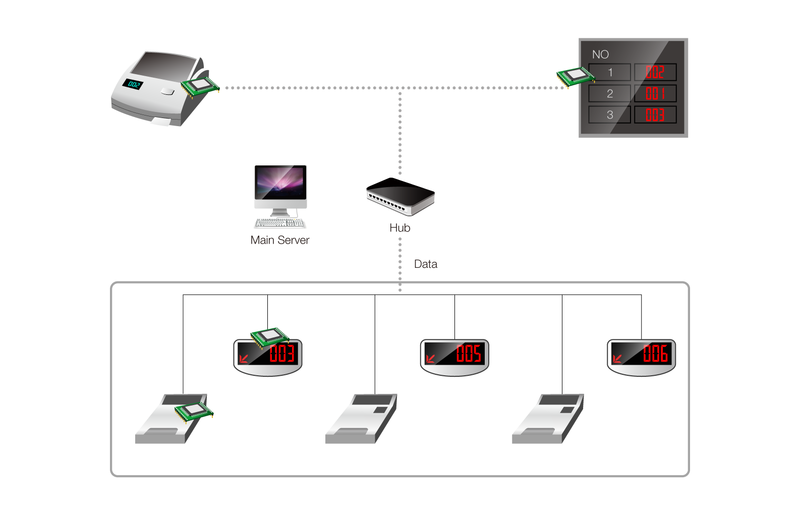 Sollae Systems' serial Ethernet networking module delivers a simple and convenience solution for queue management system. Our serial Ethernet networking module helps you move forward to TCP/IP based queue management instead of the serial based (RS232/RS422/RS485) system so as to enable interlocking between database and customers. Customers would be informed of wait time or the number of people ahead of them with virtual and linear queuing solutions and more sophisticated methods like mobile apps and SMS messages. With Sollae Systems’ serial Ethernet network module, you can expect the efficient management of queues and enhanced customer satisfaction.